Economic security is national security. The “E family” bureaus—Economic and Business Affairs (EB), Energy Resources (ENR), and Oceans and International Environmental and Scientific Affairs (OES)—advance this core principle of the Trump administration’s National Security Strategy. Economic officers around the world strive to empower growth and secure our future. America’s prosperity underwrites our national security. A robust U.S. economy that creates new American jobs depends on strong economic growth. We are known for our efforts to fight for a level playing field for American workers and companies. Our work includes protecting and enforcing intellectual property rights. We lead aviation negotiations that underpin 5 percent of U.S. gross domestic product and 11 million transportation-related jobs. We demand that international institutions do more to promote economic rules that enhance free, fair and reciprocal trade and set transparent standards. We are all involved in promoting and expanding advocacy for U.S. commercial and defense products and services abroad, as well as attracting foreign direct investment to the United States. These efforts are critical for the long-term security of our country. Sanctions are a critical part of our foreign policy. EB and ENR lead sanctions programs in more than 25 countries to reduce threats that put U.S. citizens at risk and jeopardize global stability. We used them recently to lead the world in pressing North Korea on denuclearization. We have reimposed them on the Iranian regime to pressure them to change their malign behavior. We have also ramped up sanctions on Russia in light of its actions in Ukraine and its destabilizing impacts elsewhere, and on Venezuela, aiming to restore democratic processes there. Energy is critical to U.S. national security and prosperity. ENR is leading department efforts to promote energy security for the United States and its partners and allies, stimulate U.S. economic growth that benefits American business and people, and foster global political stability and prosperity through energy development. ENR focuses on energy security and cooperation around the globe, including regional initiatives such as Trans-Atlantic Energy Security, Eastern Mediterranean Energy Integration, Enhancing Development and Growth through Energy, and Access to Global Energy Resources. Meanwhile, OES highlights the United States’ success in reducing emissions through technology and innovation, while engaging internationally to promote a balanced approach to energy, economics and the environment to protect American businesses. Against the growing threat of pandemics and infectious diseases, OES leads diplomatic engagement on the Global Health Security Agenda to build countries’ capacity to detect, prevent and respond to disease outbreaks like Ebola. We also protect national security through diplomatic outreach to fight conservation crimes and preserve the well-being of our oceans and the Arctic region. Together the E family safeguards critical national assets from security risks associated with foreign investment in areas such as infrastructure, sensitive technologies and private information. Our goal is to protect national security while maintaining openness to investment, considering that foreign-owned companies in the United States employ more than seven million U.S. workers. President Trump greatly strengthened these efforts through the Foreign Investment Risk Review Modernization Act, which expands the authorities of the Committee on Foreign Investment Review to examine investments and take action to block those that threaten our national security. Through all of these avenues, and in many other ways, the E family bureaus use America’s global leadership to strengthen our domestic economy, empower growth and secure our collective future. You’ll find many other examples highlighted in this edition of The Foreign Service Journal that showcase the wonderful work our economic; energy; and environment, science, technology and health officers do around the world. This is the cutting edge of diplomacy in the 21st century. 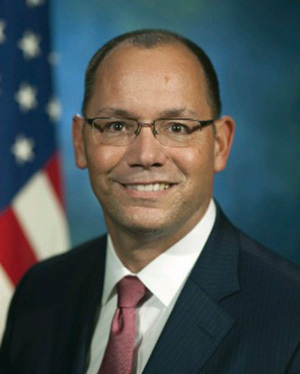 Peter Haas is the Principal Deputy Assistant Secretary (PDAS) of the Bureau of Economic and Business Affairs. 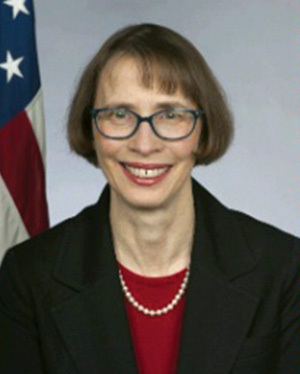 Judith Garber is the Principal Deputy Assistant Secretary (PDAS) of the Bureau of Oceans and International Environmental and Scientific Affairs. 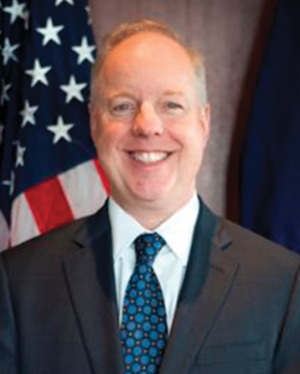 Kent Logsdon is the Principal Deputy Assistant Secretary (PDAS) of the Bureau of Energy Resources. What Is Economic Diplomacy and How Does It Work? State VP Voice: Where Does the Econ Track Lead?